On the edge of Périgueux, capital of the Périgord region, the ibis Styles Périgueux Trélissac hotel offers 60 modern and comfortable rooms equipped with 32" flat-screen LCD TVs with access to beIN Sports and Canal+ Sport channels, free WIFI access. Our lounges are equipped with video projectors and screens. 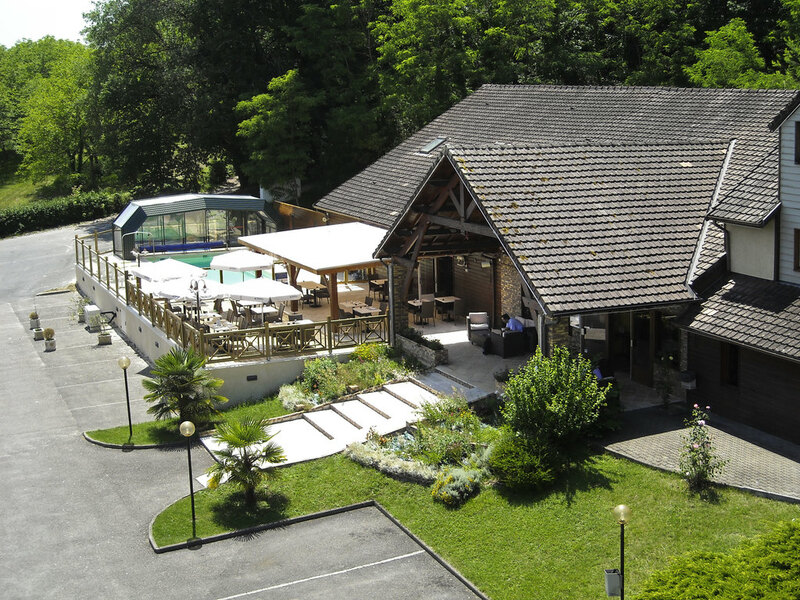 Our hotel is ideally located 10 minutes from exit 19 of the A89 highway and a stone's throw from sports venues Le Palio in Boulazac and the Stade Firmin DAUDOU in Trélissac. Free private car park. Ideally located between the Libournais wine region, the medieval town of Sarlat-la-Canéda and the tourist site of Lascaux IV. Our "O'Resto" restaurant will seduce you with its Périgordian specialties to enjoy on our terrace. Heated pool. Our Le Rest'o restaurant serves both traditional and local Périgord cuisine in a cozy setting from midday to 1:45pm and 7pm to 9:45pm, Monday to Friday. Come and relax in Le Bistr'o, open midday to 2pm and 7pm to 11pm, Monday to Friday. Outstanding price versus quality ratio - We were surprised by the high quality of the breakfast according to the category of the hotel - The room was clean - The personal very nice and prone to satisfy you - To be recommended without hesitation - Just be careful, the sign when you arrive by road is partially erased. The first bedroom we were given was very dangerous due to the ceiling beam being so close to the bed,in the dark going to the bathroom would be a problem with this beam. The friendly member of staff on duty moved us to a better room downstairs but the state of the carpet in the hall way outside was stained and looking manky it was the worst I have seen and not up to the usual Accor standards. The hotel could do with updating and a good clean. The swimming pool was not in use which was a disappointment. The beds were comfortable with good quality bed linen. The breakfast was also very good although it was difficult to find clean cutlery. The fire alarm went off but felt staff were not trained to deal with this. One of your staff just sat on the check out desk while we stood outside in nightware. None of your staff seemed bothered and it took a customer to take control. We asked for adjoining rooms and this wasn’t possible. So we took what was available. My daughters room had to be changed as the bathroom floor was broken and dangerous. She was allocated another room without delay. Our room was on the 2nd floor and the sloping roof was too low Ian places and I walked into the beam on many occasions. The pool couldn’t be used at 4pm as it was being cleaned. Why wasn’t it cleaned at 9am? The breakfast was a sort yourself out, No tea! No ham, wasps in the jam, a cricket on the fruit, it was better than nothing but only just. Excellent location- but be early for breakfast! Second time we've stayed and again it was lovely - clean, tidy and a great pool for the kids - only downside was the breakfast - pretty much all gone with still 30 minutes to go...hungry children and parents! In the family bedroom we booked the lavatory did not flush, and this meant it could not be used. We advised reception at about 17 hours, but it was not repaired that day. If we had not also had the next door room, this would have been a real problem, instead it was an serious inconvenience. We were told the room was the only large family room in the hotel, so they could not move us to another room. For the second room we booked, we had asked for a room suitable for a disabled person. We did not get such a room, although we heard there was a room suitable for a disabled person - whether this was true we did not find out. The restaurant was good, the evening meal was good, the breakfast was good, the swimming pool was much enjoyed by the children. Very welcoming for a family of four with young children arriving after a long journey. The kids were given a backpack with toys in which went down very well! Nice spacious room. Friendly staff. The small pool Was a bit busy but very refreshing. Breakfast was good, lots of choice. Perfectly adequate, clean, functional accommodation. Good facilities, excellent restaurant and very welcome air conditioning! It was a good quality / price balance. Too bad the restaurant is close during the week end and the breakfast finish at noon (so nothing to eat after this. There is a parking for free so that is good. The family room is great need a little refurb (wallpaper big scratches behind the bed). Large for 5 people. Although our room was comfortable the lighting is abysmal. There was no hot meal availability in the hotel when we stayed only a cold salad dish which although looking very nice was not what we wanted. The corridors to the rooms are very tatty and really need an over hall, you can hear everything from the rooms above. When in bed you could see the dust sitting on the wallpaper to such an extent my husband wrote 'clean me' in it. This was our second time at this hotel but only due to location for our convenience of where we had to go on our trip. Initially we had to call through to explain we had been delayed on our travel and would be arriving after the 23:00 late check in time. I was impressed with the person on reception who told us this was not a problem. On arrival at the hotel the bloke on reception was serving 2 other people but asked what we required, I told him my name and said we had a booking and had rung through to say we would be late, he was quite rude and abrupt at this stage. The room itself was pleasant enough but the lighting in the rooms is abysmal. The main switch is for a wall light which is not very strong the only other lighting in the room was bedside lamps which did not give much light. Fortunately the bathroom was well lit. The main corridors are very scruffy with tram lines where presumably the maintenance trollies have hit. The restaurant was only offering cold meals the evening we stayed so we had to go out for a hot meal. Breakfast was buffet style offering one choice of ham and cheese, cereal, yoghurt and various breads. Coffee machines had good selection and there was a machine for freshly squeezed orange juice (this kept jamming) For the money it is a reasonable stay but I don't think we would stay again.